Vapor Tech rents a wide variety of unique carbon adsorber vessels. We manufacture and rent the safest and easiest to use carbon beds that are available on the market today. 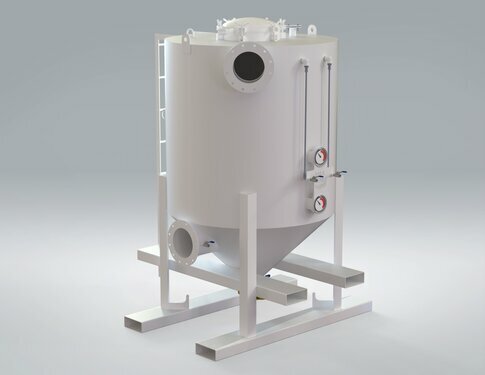 Due to the easy-dump bottom valve, our NOVAC carbon beds do not require carbon extraction equipment (cylcone or vacuum truck) to remove spent carbon media. All that is needed is a forklift to lift the unit! Why pay a company to remove your spent carbon media when you can do it yourself in 15 minutes? 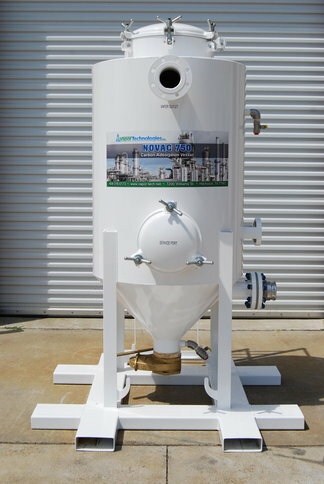 The NOVAC carbon vessels are available in three different sizes for rent. Unlike any other carbon bed available today, the NOVAC units have large temperature gauges as well as internal water purge system which can be activated during a high-temperature event. In addition, all of our units include sample ports on the inlet and outlet to aid in determining carbon life. Our R4K Radial vessel is designed for higher CFM (up to 10,000 CFM) with lower pressure drop (compared to linear carbon beds). 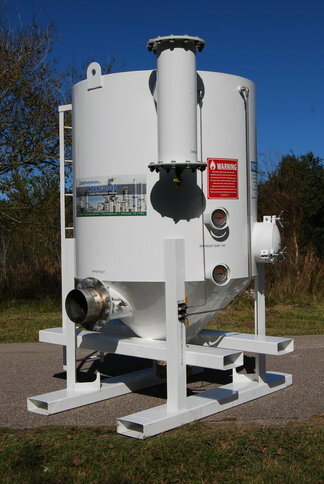 These units also have temperature gauges, water purge system as well as sample ports on the inlet and outlet. These days, many companies offer carbon filters. Find out why our units are hands down the best on the market. You will never use a 'normal' carbon bed again! Smaller version of our popular NOVAC series carbon adsorber designed for vapor flows up to 550 CFM. NOVAC 1000 Carbon Vessels have 1,000# carbon capacity (GAC) and up to 1,000 CFM throughput. NOVAC 2000 Carbon Vessels have 2000# capacity and up to 1500 CFM throughput. 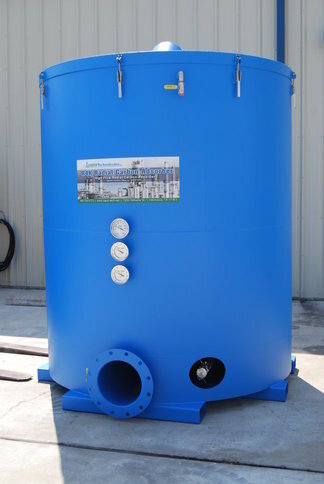 Ultra-Compact radial carbon bed for airflows up to 10,000 CFM with low pressure drop available for rental.